I've been working more with colours of late, and the colour story of the month is turning out to be a violet/cyan one. 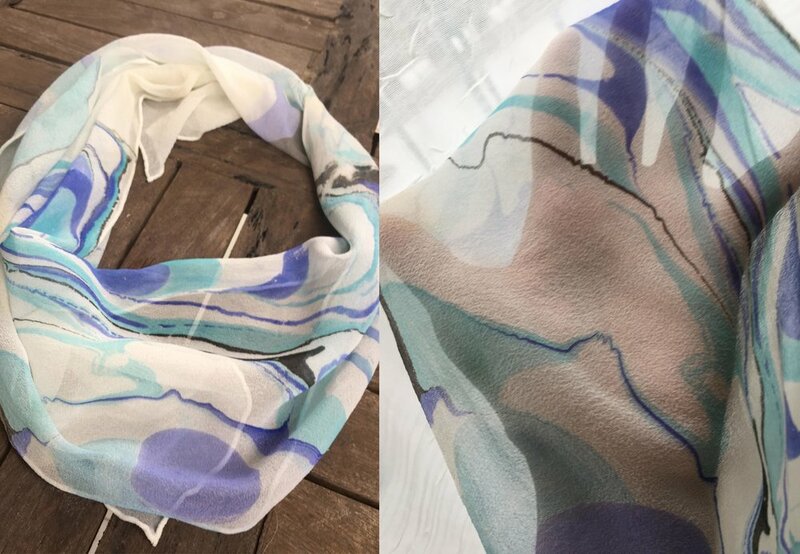 Preliminary marbling on this 8mm silk chiffon scarf turned out rather nicely, love the way the silk chiffon captured each fine, tiny line and is beautifully translucent against light. I've ordered another batch of scarves to work on, following some interest from potential buyers! Night-time on Lamma island, particularly in remote Pak Kok, feels special and intimate. Even after almost 3 years of living here, I'm still in awe of how wild this island is, a mere 25mins away from bustling Hong Kong island. Ingrid's farewell night, engaging conversations as usual between a few close Lamma friends, something quite magical in the mix of external environment and interesting people. Eric said, living in a house with a view like this gives one perspective. 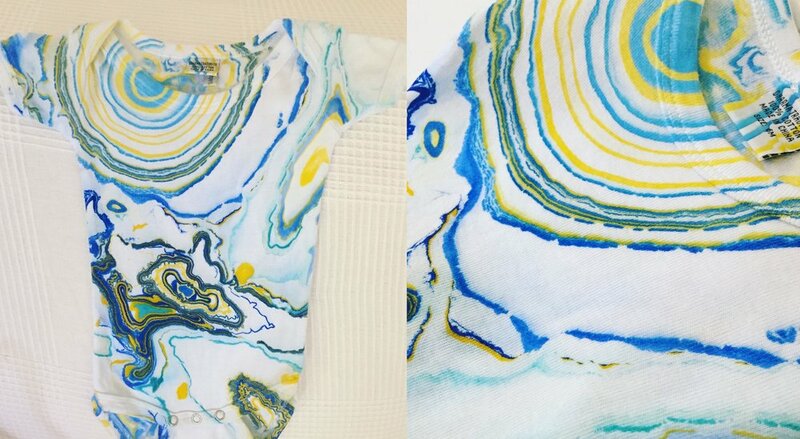 And since marbling is the theme of the month, what better farewell gift than a marbled card & envelope set!